Royal Australian Air Force (RAAF) F/A-18F Super Hornet over Iraq in some interesting photographs. 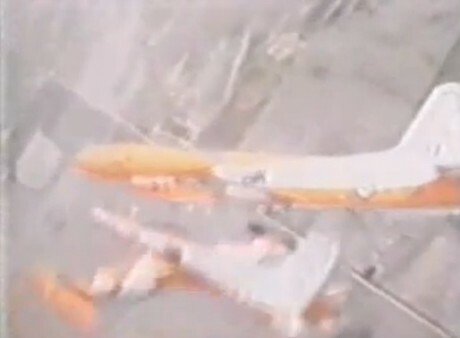 The Australian contribution to the US-led coalition that is conducting air strikes against ISIS targets in Iraq includes an Air Task Group (ATG) consisting of six Royal Australian Air Force (RAAF) F/A-18F Super Hornets, an E-7A Wedgetail Airborne Early Warning and Control aircraft and a KC-30A Multi-Role Tanker Transport aircraft. Dubbed “Operation OKRA”, the Australian mission comprises nearly 400 personnel deployed to Al Minhad airbase, in the UAE. 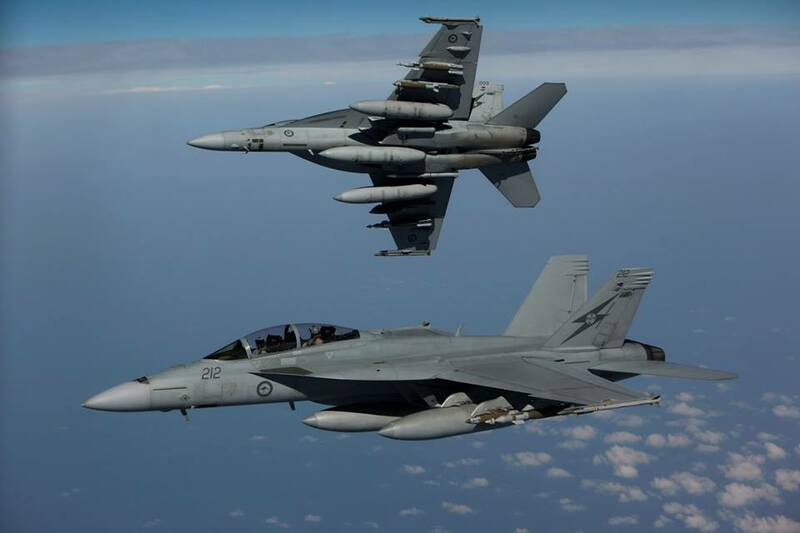 The Aussie Super Hornets took part in the air strikes beginning on Oct. 5 2014 even if they didn’t drop any bomb on target (an ISIS compound) before the night between Oct. 8 and 9 when two F/A-18Fs dropped PGMs (Precision Guided Munitions) on an ISIS compound. 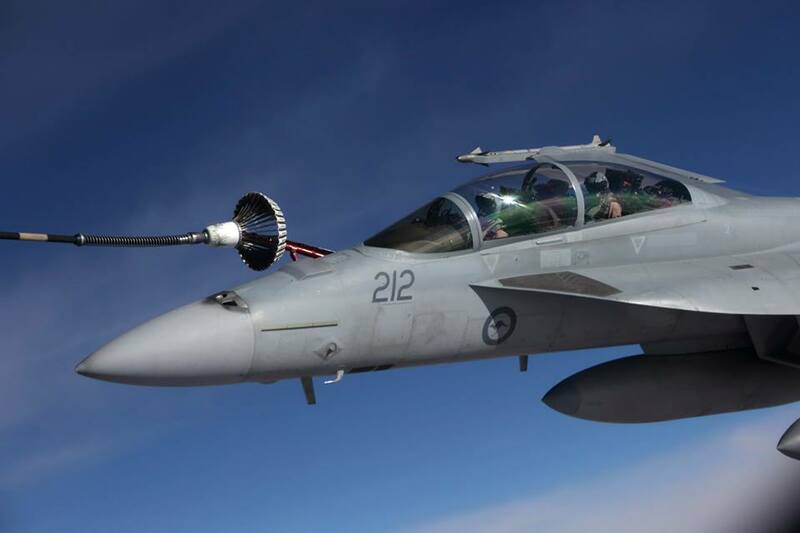 The images in this post, show that the RAAF Super Hornets fly the missions over Iraq in a quite heavy configuration made of three drop tanks, two JDAMs (Joint Direct Attack Munitions), two GBU-12 LGBs (Laser Guided Bombs) and two AIM-9X Sidewinder air-to-air missiles.